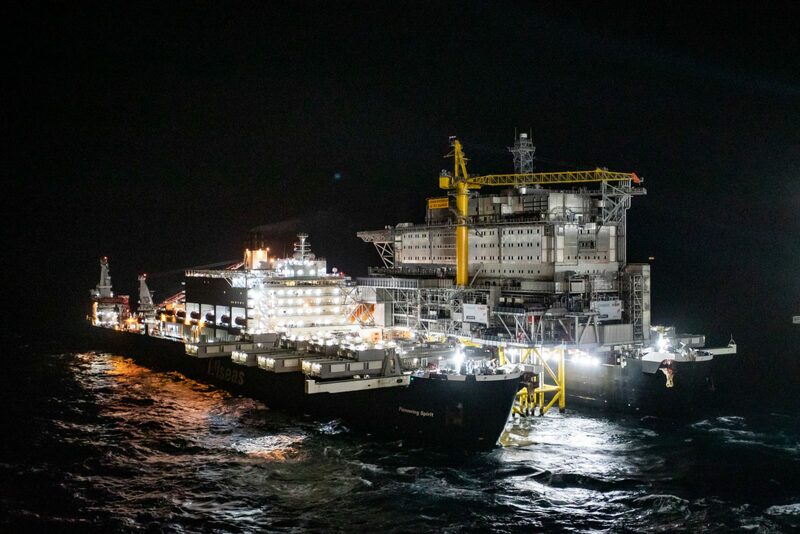 Allseas’ record-breaking heavy lift vessel Pioneering Spirit has successfully executed the single-lift installation of the processing platform (P1) and utility living quarters (LQ) topsides, with a combined weight of 44,000 t, in the Johan Sverdrup field, offshore Norway. 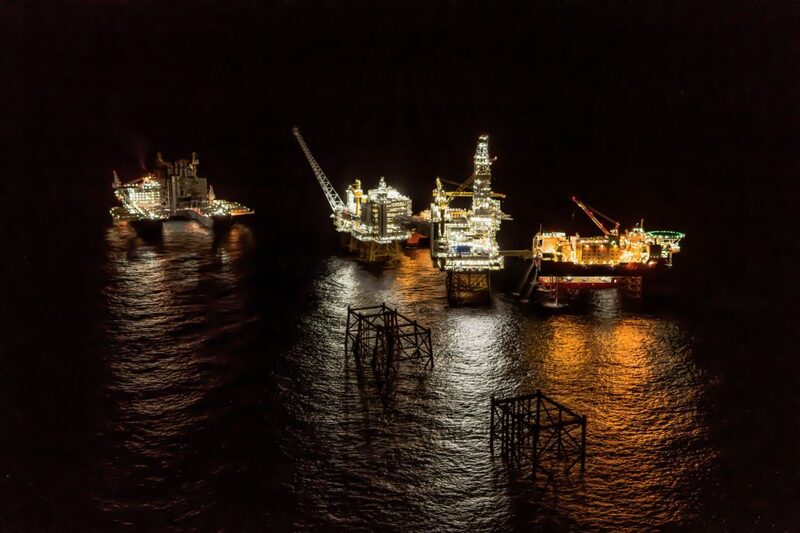 From the start of the 26,000-t P1 lifting operation on Tuesday morning until the 18,000-t LQ topsides had been lifted into place early Friday morning, it took less than 3 days. 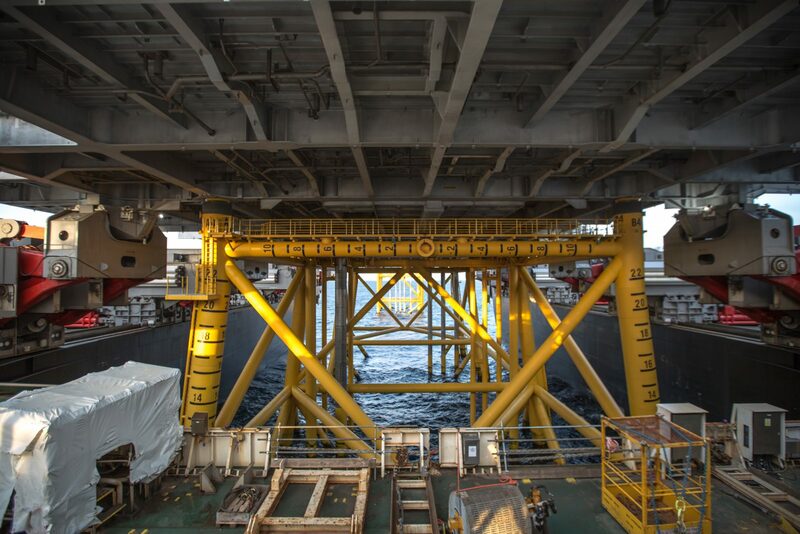 Installation of the P1 topsides is the heaviest single-lift ever executed offshore. 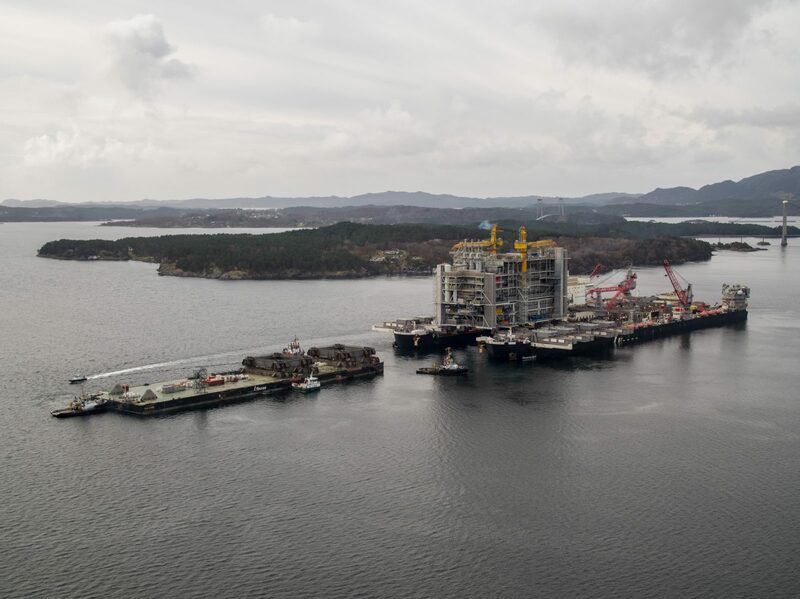 On Saturday 16 March, the processing topsides joined Pioneering Spirit in Digernessundet, near Stord, where the 72 m high, 139 m long structure was transferred from a barge to Pioneering Spirit. 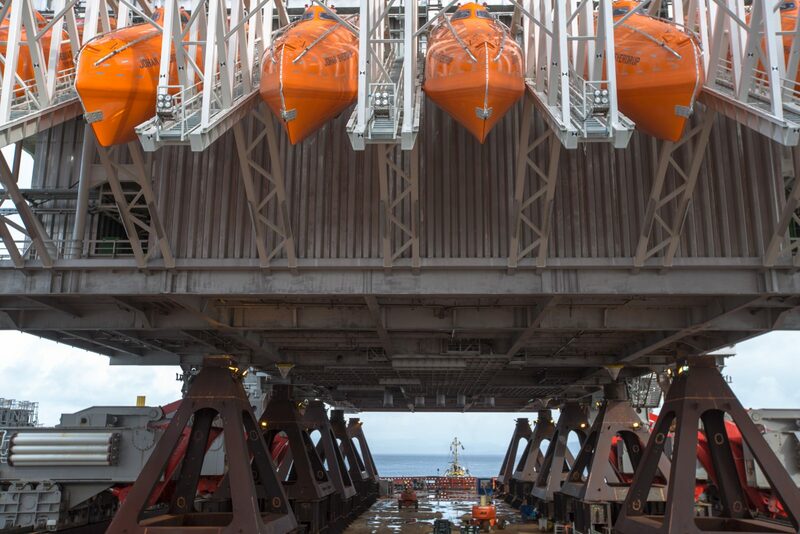 After waiting out bad weather for 36 hours, the vessel commenced the 11-hour sail to the Johan Sverdrup field, located on the Norwegian Continental Shelf, 160 km west of Stavanger. 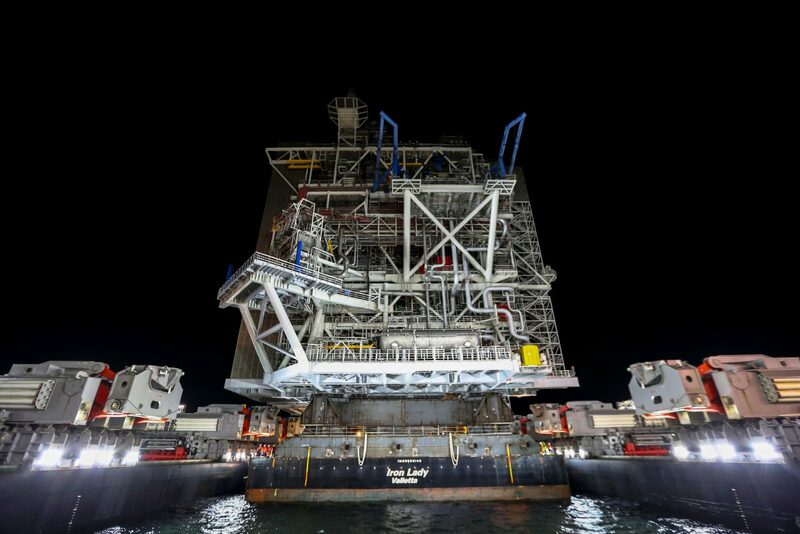 After final checks and preparations, Pioneering Spirit moved in around the jacket and its motion-compensated lifting beams set down the topsides. The actual installation operation took only 4 hours. 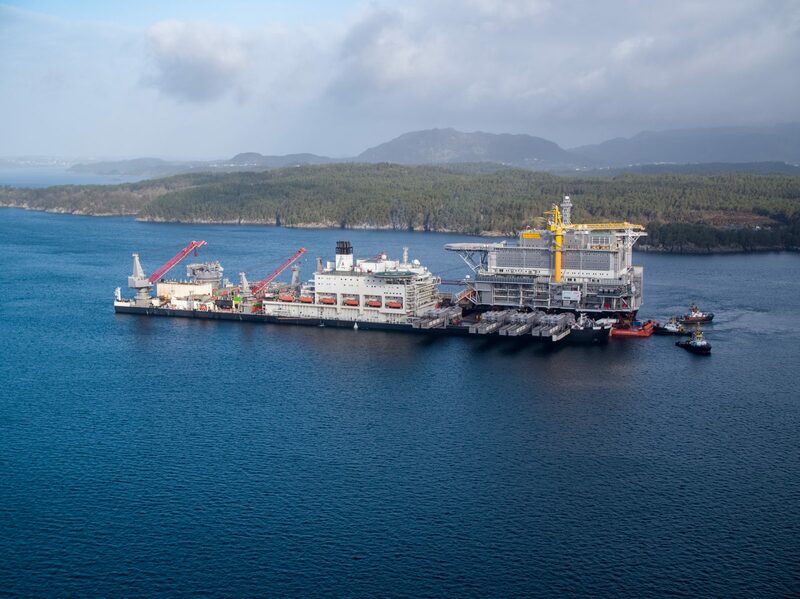 Pioneering Spirit arrived in Bømlafjorden, near Stord, 12 hours later to collect the utility topsides. 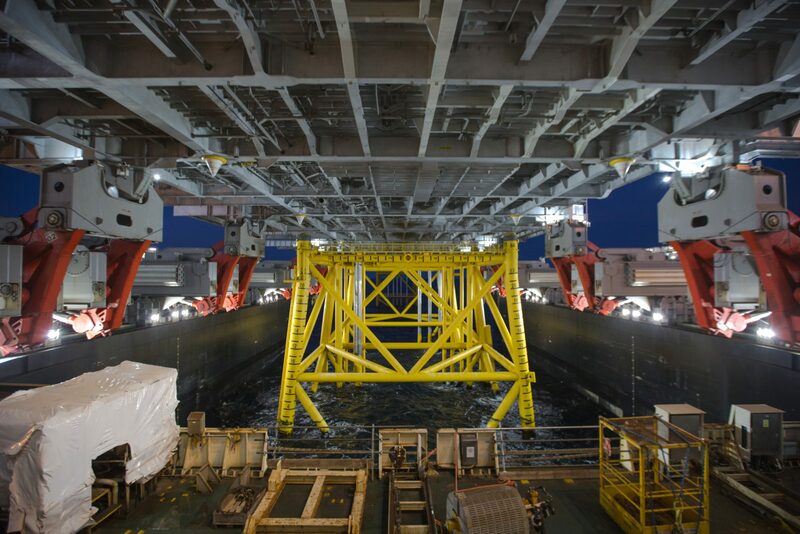 In a repeat of the first operation, the 65 m high, 105 m long structure was transferred from a cargo barge to Pioneering Spirit for transport to the field. The second installation took only 3.5 hours. 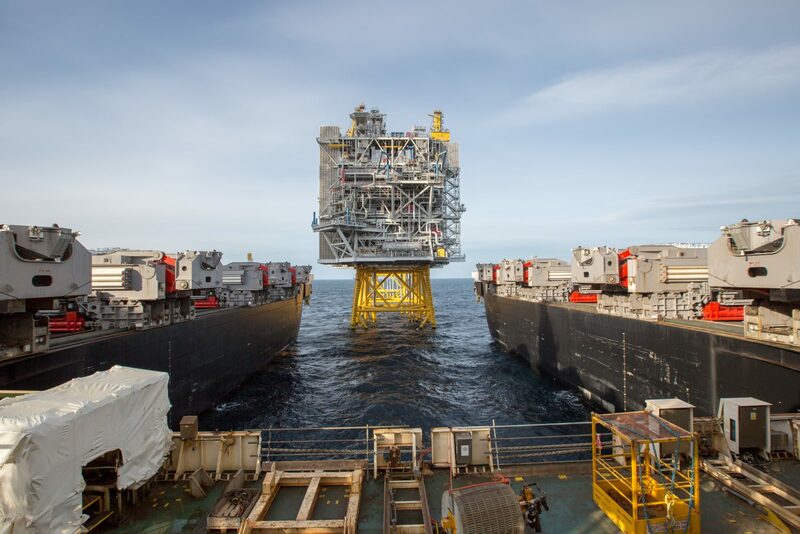 Pioneering Spirit has installed three of the four platform topsides for phase one of the Johan Sverdrup development. 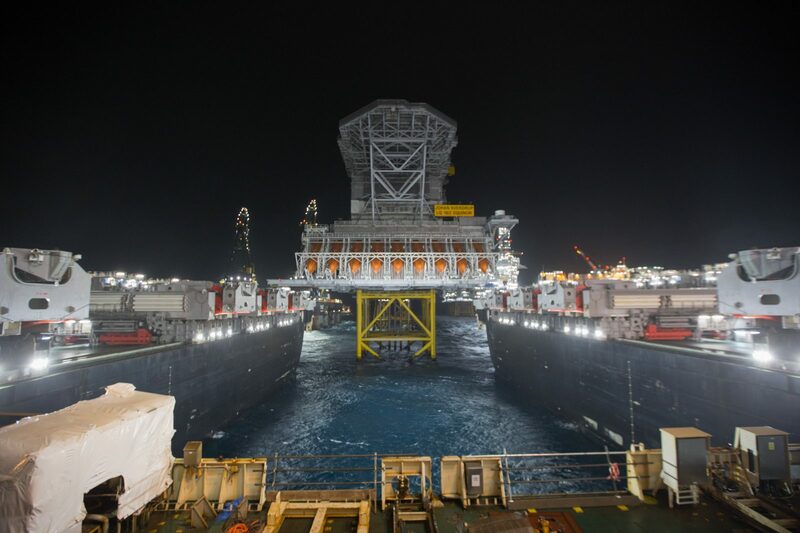 In June 2018, the vessel successfully installed the 22,000 t drilling platform (DP) topsides. 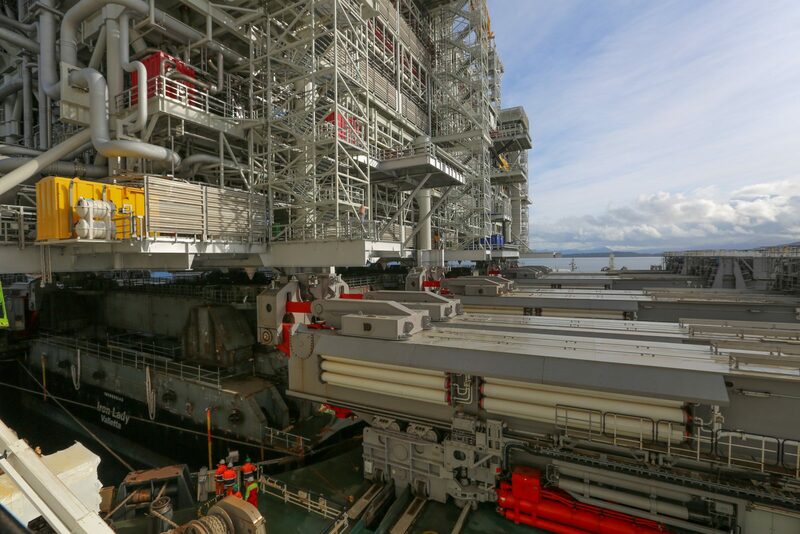 In 2022 the vessel will return to the field to install a second processing platform (P2) topsides, weighing 27,000 t, for phase two of the Johan Sverdrup development. 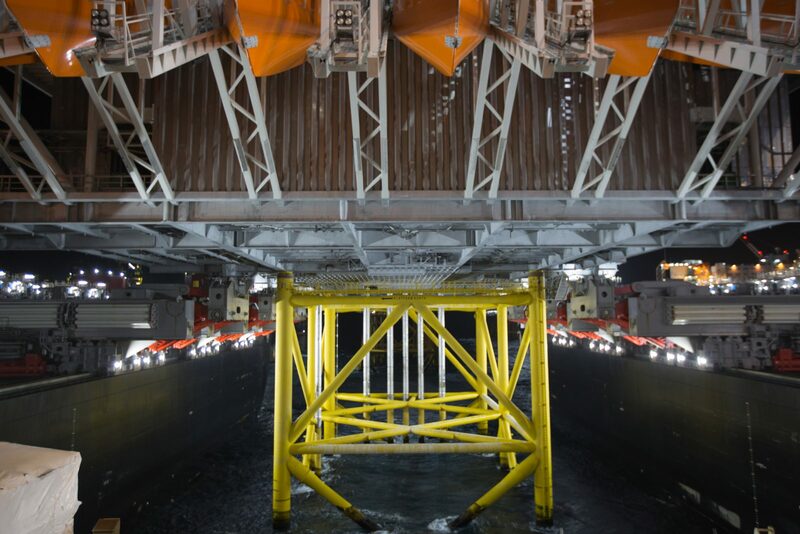 Download photos and videos of the Johan Sverdrup P1 and LQ topsides installations.